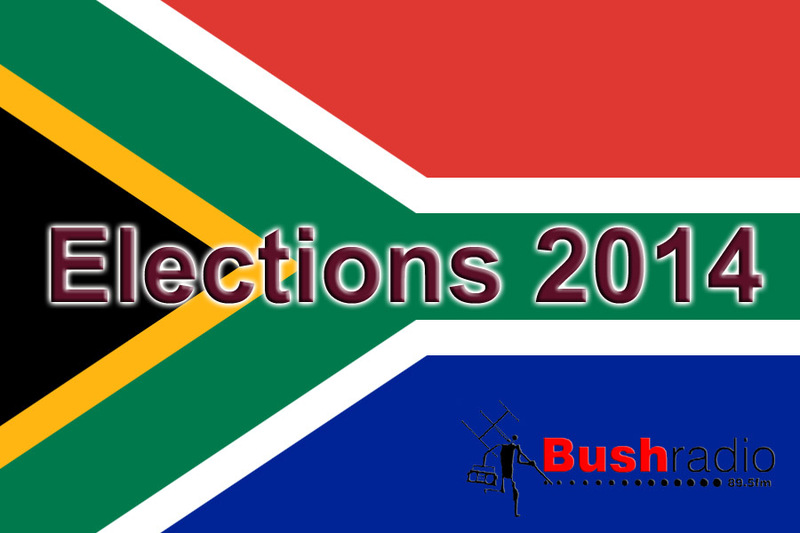 The final in our series of 5 debates around the national and provincial elections for 2014 takes place in Kraaifontein on Thursday, 1st May 2014 (Worker’s Day). Please note this debate which will once again be broadcast on 89.5fm and online will be earlier – 2pm to 4pm. 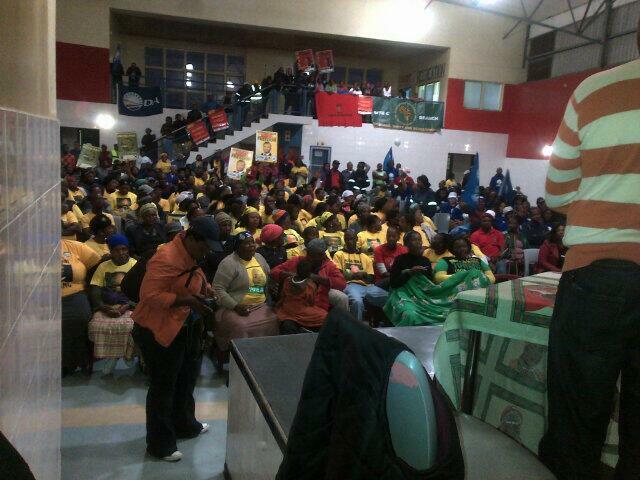 Remember to join us at the venue or tune in and send your sms to 32158 to have your voice heard. 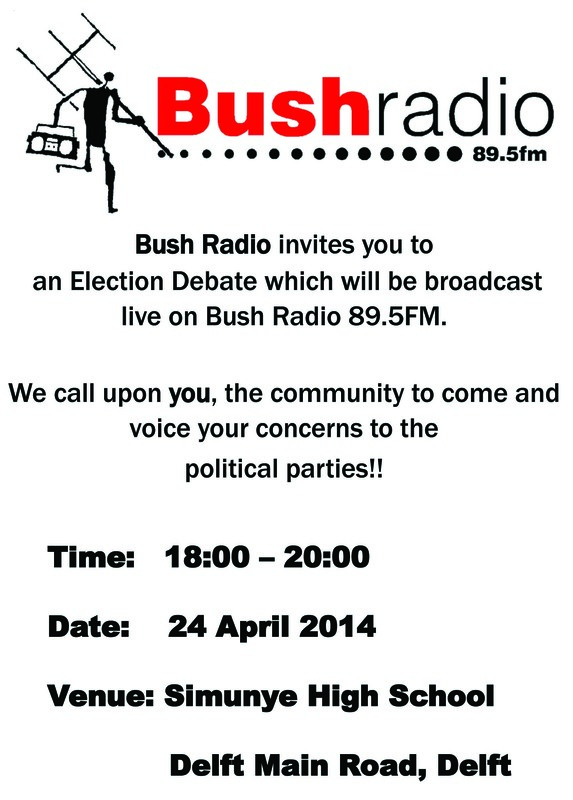 Today from 6pm to 8pm Bush Radio will again host a debate between the various political parties contesting in the 2014 elections. Members of the community in Joe Slovo Park are invited to Sinenjongo High School where they will have the opportunity to pose questions to the parties. Bush Radio listeners, or those unable to make it to the venue can send us questions on 32158 and tune in via 89.5fm or online. The third in a series of election debates will be from Mitchells Plain from 6pm – 8pm on Tuesday the 29 April 2014. Everyone is invited to attend but remember if you can’t get there it will be broadcast on 89.5fm and online. We call upon you, the community to come and voice your concerns to the political parties! 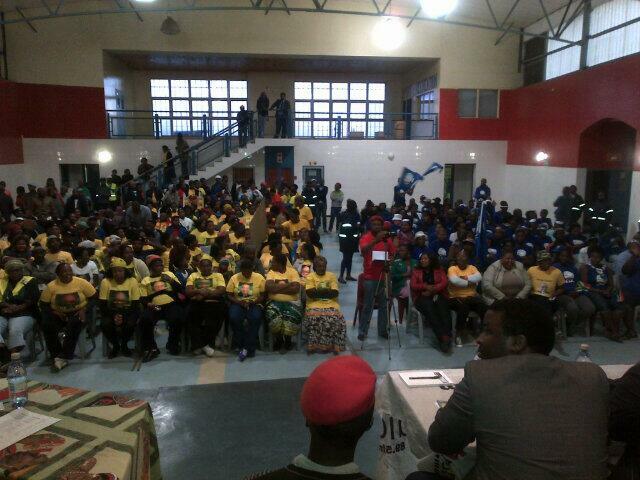 The first of Bush Radio’s election debates last night (23/04/2014) in Khayelitsha had a massive turnout (see below) and political parties and their supporters had heated discussions. Tonight we bring you another broadcast, this time from the Simunye High School in Delft. The debate, which is also broadcast live on 89.5FM and online, will start at 6pm. 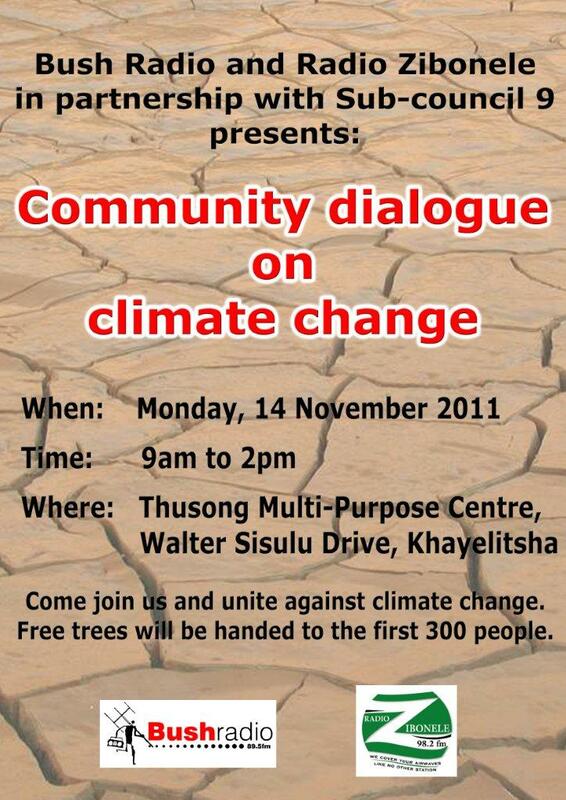 Join Bush Radio and Radio Zibonele in Khayelitsha as we discuss; What is climate change? What is all the fuss about? How you can get involved. 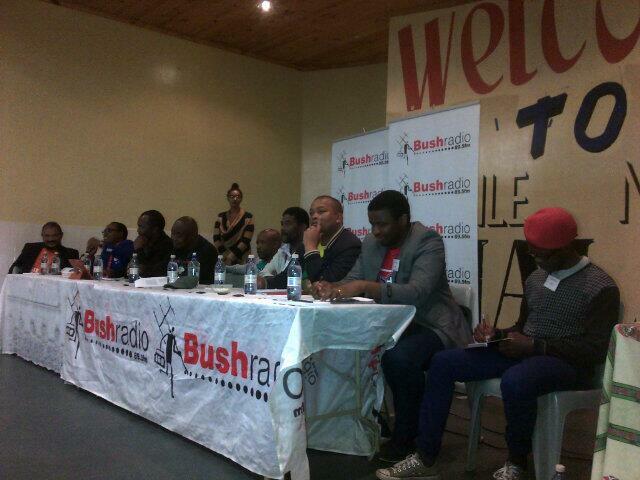 This is a first of a series of public dialogues by Bush Radio 89.5FM leading up to the COP17 conference. for more information call 021 4485450.